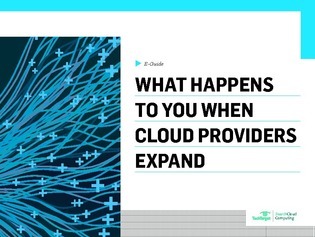 What happens to your data when cloud providers expand? Every quarter it seems like the cloud giants spend billions to support and grow their cloud services. Leading cloud providers are continuously moving into new regions, but what happens to their customers' data when these expansions happen? What will happen to your workload when your cloud provider opens a new data center that is geographically closer to you? How important is a service-level agreement? Access this e-guide to peek into the future of your cloud investments, learn about the visibility and performance question, and more.